Tata Motors' board of directors has appointed N Chandrasekaran as additional director and chairman of the board with effect from January 17, 2017. This announcement comes after the appointment of N Chandrasekaran as the executive chairman of Tata Sons, effecting from February 21, 2017. Natarajan Chandrasekaran is the chief executive officer and managing director of Tata Consultancy Services since 2009. The company states that under his leadership TCS has generated consolidated revenues of $16.5 billion in 2015-16. Last year, he was also appointed as a director on the board of the Reserve Bank of India. Chandrasekaran will also likely head the other companies listed in the group, namely Tata Chemicals, Tata Power and Indian Hotels Company. This announcement comes after two months of speculation of who would head the $103-billion Tata Sons empire after Cyrus Mistry was sacked on October 24, 2016. The 54 years old also happens to be the first non-Parsi chairman to head the Tata Group. While Chandrasekaran has a Herculean task ahead, he will also have to pay special focus to Tata Motors. Cyrus Mistry in his five-page letter to the Tata Sons board said, "The Nano product development concept called for a car below Rs 1 lakh, but the costs were always above this. This product has consistently lost money, peaking at Rs 1,000 crore. As there is no line of sight to profitability for the Nano, any turnaround strategy for the company requires (the group) to shut it down. Emotional reasons alone have kept us away from this crucial decision. Another challenge in shutting down Nano is that it would stop the supply of the Nano-gliders to an entity that makes electric cars and in which Mr Tata [Ratan Tata] has a stake." 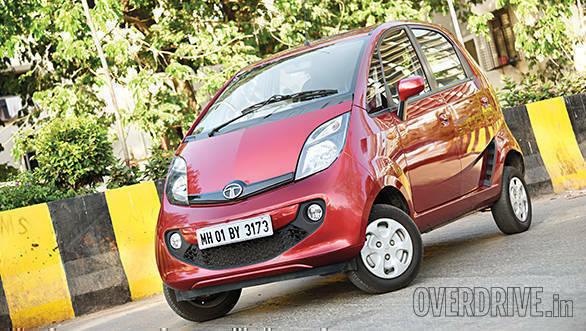 Whether Chandrasekaran takes a decision in favour or against India's most affordable hatchback, Tata Nano will be closely monitored by everyone. For now, Tata Motors has a list of launches lined up which include the Kite 5 sedan, Nexon compact SUV and a premium hatchback that will take on the likes of the Maruti Suzuki Baleno. The company has already launched the Hexa at Rs 11.99 lakh in India.